Now about more than 12 years ago we have started our international story of success with the development of the worlds first biaxial motorized nodalpoint adapter as series production model and founded thereby the new field of gigapixel-photography. Even if our products are now being copied by some other companies, the experts all agree that no other device can keep up with the robustness, reliability and persistence of our products. 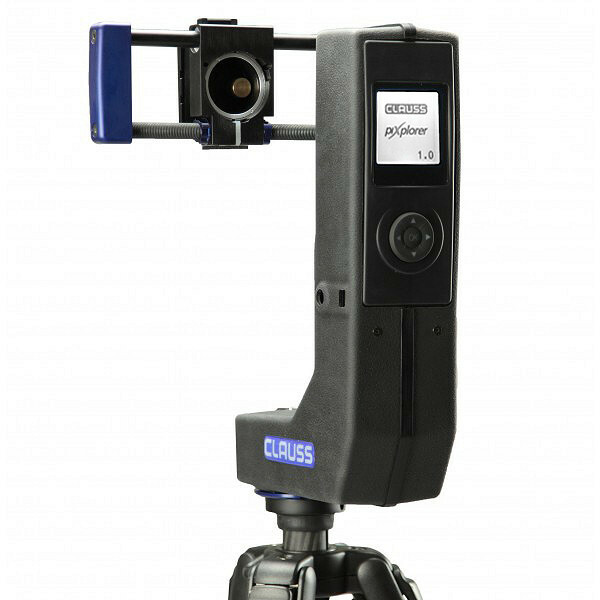 As of now, our panoramic heads piXpert and piXposer are equipped with WLAN/LAN-interface and Internet protocol. This means, that the controlling of these heads is now possible with every random device that is browser-related... and also that pictures can be transferred as well (as one of our last newsletters has already reported). Our latest innovation - the piXplorer is perfect for anybody whose budget window is a bit smaller, or who needs to move his equipment often by his own muscular strength. A lot of individual customer needs are integrated in this product. An essential goal for us was to create a smaller, handier and less expensive device, but still maintain important issues like mechanical stability, precision and torque. And we were able to do that with outstanding success - mainly due to consistent enhancements in our production technology. One more time, we are reinforcing our claim for leadership in this special field. The piXplorer replaces our RODEON CL, is available for half of it and only weights 2.3 kg - although the incredible torque of 4 Nm for both shaft drives is still ensured. Regarding the control of this device, we went for an integrated, energy saving solution without any need for additional devices - a big plus for trips abroad. As result you receive a premium device at a reasonable price and unrivaled, for a wide field of use and - especially for the outdoor-pro - it fits in every backpack.